What is the practice of finning? 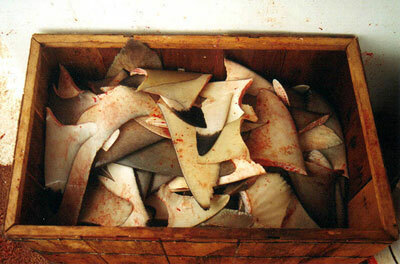 In most commercial fisheries, shark meat is considered of low value and sharks are often discarded at sea rather than landed at port. Their fins on the other hand are worth quite a lot in the Asian shark fin soup market. This has caused many fishermen to cut the fins off of the sharks as they come aboard and throw their bodies back over board. This way they can land the expensive fins, and save room to land more expensive fish. This practice is very wasteful and often times the sharks are finned and returned to sea while still alive, left to die. What impact will it have on the marine wildlife if the number of sharks keep declining in the long run? Sharks are apex predators, the top of the food chain. If one removes species from any trophic level, there will be a trickle down effect. Since the food web is very complex, it is almost impossible to predict exactly what might occur, but it is safe to say that with loss of an apex predator, there will be noticeable ramifications. What radar tracking equipment is used to track and research sharks? Radar is actually not used to track the movements of sharks and other fish. The equipment that is used to track sharks is known as an acoustic telemetry system. Telemetry is a scientific method that is used to track the movements of wild animals so that more can be learned about their migrations and home ranges. For land animals, radio telemetry is used. For ocean fish, however, radio does not work, so acoustic signals are used to track them. Acoustic telemetry means that the equipment uses pulses of sound rather than radio waves. 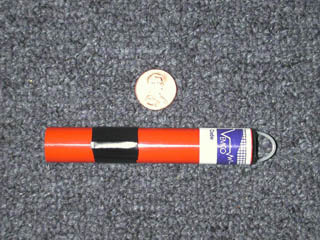 The acoustic telemetry system requires 2 main components, (1) a transmitter and (2) a receiver. The transmitters are about the size and shape of a mini-flashlight. The transmitter is attached to the shark by being tied to its dorsal fin, or tagged to its back. Transmitters can also be surgically implanted into the body of the shark. The shark is then released, and the attached transmitter gives off regular acoustic pulses (which can’t be heard by the shark or other animals) so it can be followed. The boat carries the receiver which picks up the acoustic signal and tells where the shark is located in reference to the boat. It is then followed from several hours to several days, producing a track of the shark’s movements through its natural habitats. It is very sophisticated equipment, but allows the study of the shark’s behavior and swimming patterns without actually seeing the shark.